Community character is reflected in how a community is built and how people live in it. 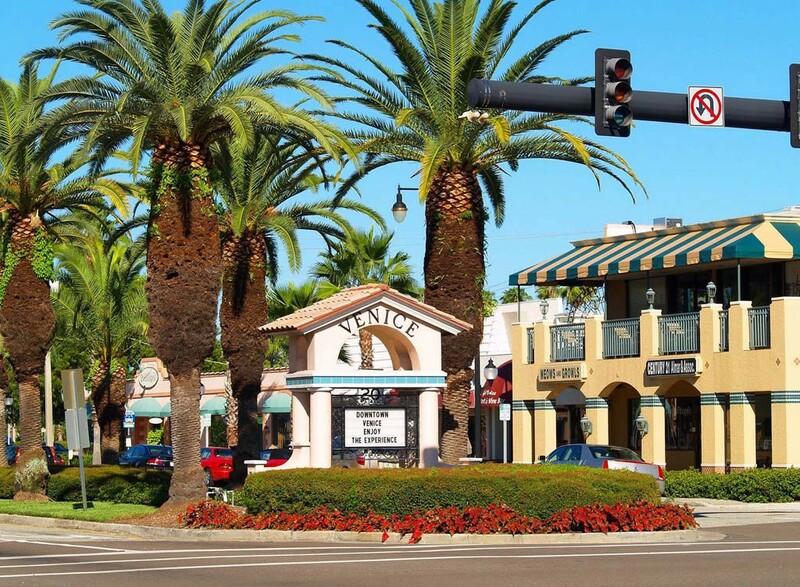 Issues of community character and historic preservation are important to the City of Venice because they address the qualities that provide Venice with its sense of place. By identifying what makes Venice unique and truly livable, the City is able to determine what resources are needed and define its future planning priorities. The Department of Historical Resources assists the City in these efforts. To maintain Venice as a vibrant, charming, historic community in which to live, learn, work and play. The Department of Historical Resources is responsible for administering various historical programs and coordinating with the Historic Preservation Board, city staff, and the public. The department assists the City of Venice in reaching its goal to “preserve Venice’s historical, cultural, archaeological, and natural landscape resources to protect Venice’s quality of life, community character and city identity.” The department preserves and protects historical resources that serve as visual reminders of the community’s cultural, social, economic, political, scientific, religious, and architectural history. Among these resources are the City’s archives and area historical collection housed at the Venice Museum & Archives, and the City’s historic properties, including the 1927 Triangle Inn building and 1896 Lord-Higel House. Along with its preservation efforts relating to historic properties and landscapes within the City of Venice, the Department of Historical Resources also manages the Venice Museum & Archives (VMA). The mission of the VMA is to collect and preserve historical and archaeological material relating to Venice and the communities of Nokomis, Laurel and Osprey, whose histories have all been interwoven from 1867 to the present time. The VMA has a collection of 30,000+ photographs, archives, objects, and publications pertaining to area history. The museum processes new donations into the collection and is working to upload a significant portion of the collection records online for greater, external public access. The entire museum collection database is accessible to the public on an internal network. Click here to search the online collection database. The museum engages the public in local history through changing and permanent exhibits, tours of the Triangle Inn, special events, newsletters, social media, as well as onsite and offsite educational outreach programs to youth and adults. Additional services offered also include assisting the public with research requests and assisting with image request orders. The museum’s gift shop offers books, DVDs and other merchandise pertaining to local history available for purchase. 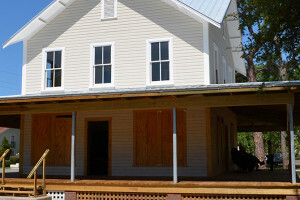 The Department of Historical Resources also maintains and preserves two historic properties owned by the City of Venice. The Triangle Inn building was constructed in 1927 as an inn for visiting tourists and prospective land investors. 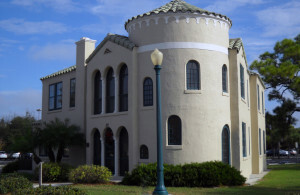 It is an excellent example of the Mediterranean Revival style of architecture established in Venice in the mid-1920s. The Triangle Inn was slated for demolition when it was acquired by the City of Venice in 1991. 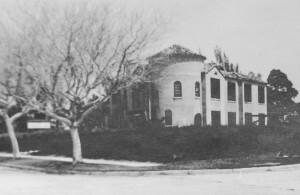 The city moved the building 500 feet south, built a new foundation, restored the exterior to its original 1920s appearance, and renovated the interior to house the City of Venice’s archives and historical collection. The Triangle Inn was listed on National Register of Historic Places in 1996 and is also on the City of Venice Local Register. Since 1996, this historic property has been open weekly to visitors. 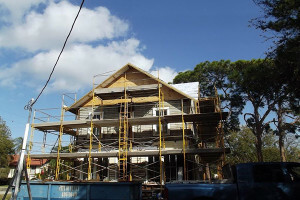 The Lord-Higel House, a second historic structure under the department’s care, is currently under restoration in partnership with Venice Heritage, Inc. As the oldest surviving early settler home in the Venice area, the Lord-Higel House stands as a charming and historical example of the architectural style of the period. 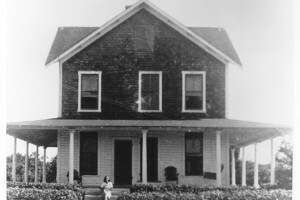 Built in 1896 by Joseph H. Lord, the two-story house was designed in the Queen Anne vernacular style. 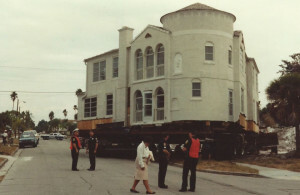 In 2005, it was saved from demolition by the City of Venice’s Historic Preservation Board and moved from 811 Laguna Drive to a city-owned lot at 409 Granada Avenue, just behind City Hall. Previously known as the Stone Grove House, it was renamed the Lord-Higel House in honor of Joseph Lord, who built it, and George Higel, its first occupant. Once restoration is complete, the site will serve as a secondary satellite location for the Venice Museum & Archives. It will provide much needed space for exhibits, special events, and educational programs. Funding for this project has been raised primarily through private donations and grants.